Try the world's #1 prescribed heel cup for maximum shock absorbing protection. Find instant relief from plantar fasciitis and heel pain, painful legs and knees, nagging backaches and neck aches, and sore, tired, burning feet. 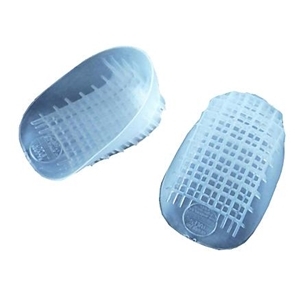 Specially formulated gel is a soft, resilient material with a patented, shock-absorbing, waffle design.